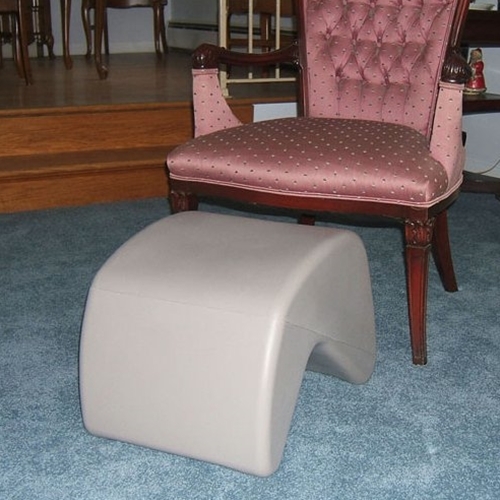 Soft Touch Tuffet Foot or Leg Rest from HealthyKin.com ergonomically places the legs in a slightly bent position to alleviate back and knee discomfort. It is especially useful for people who spend long hours sitting. Elevating one's feet with the Tuffet can result in improved venous return increasing the oxygen supply to the lower limbs. This can reduce swelling and aid in improving skin and muscle condition. Knees can be placed in a slightly bent or fully extended position depending on the placement of the Tuffet. 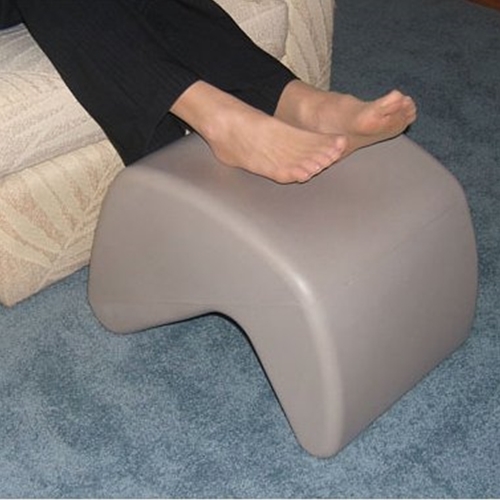 As a foot rest, it is a comfortable way for readjusting seating position to reduce the risk of pressure sores and possible back pain. It easily fits between the swing away supports of wheelchairs or under a desk to fully support the feet and lower legs. The surface is constructed of a 'soft touch', durable plastic that can be adjusted for firmness by releasing air from a recessed air valve. The neutral taupe color is complimentary to any decor – home or office. Measures 20" x 15" x 5"
I bought the soft touch tuffet for mother who is 92. She loves to sit at the kitchen table and the angle side elevates her feet slightly under the table. It is perfect.